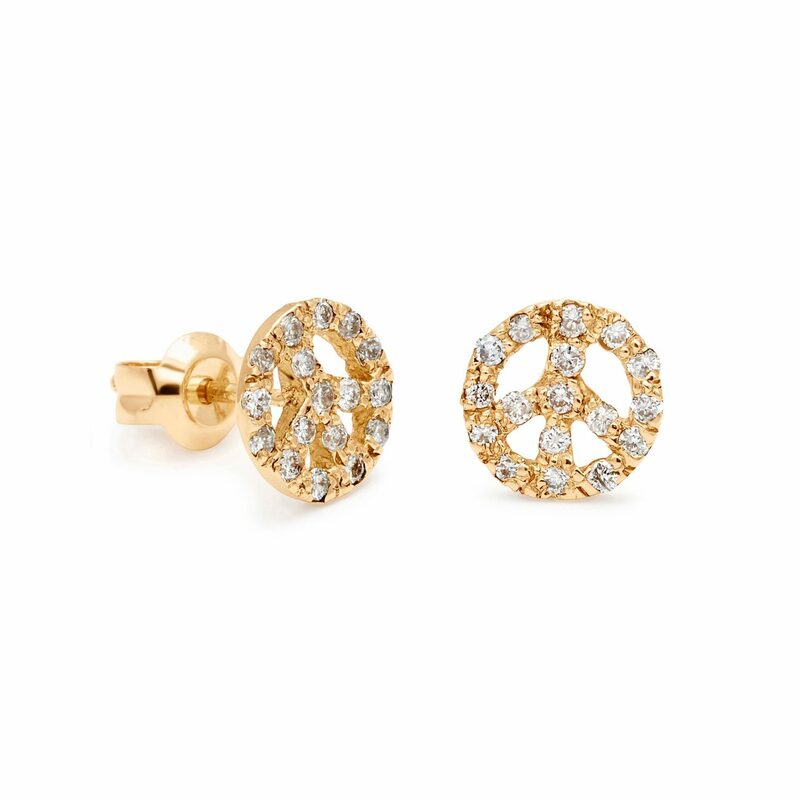 Classic bohemian peace sign stud earrings, each set with 17 white diamonds. Handcrafted by Elisa. 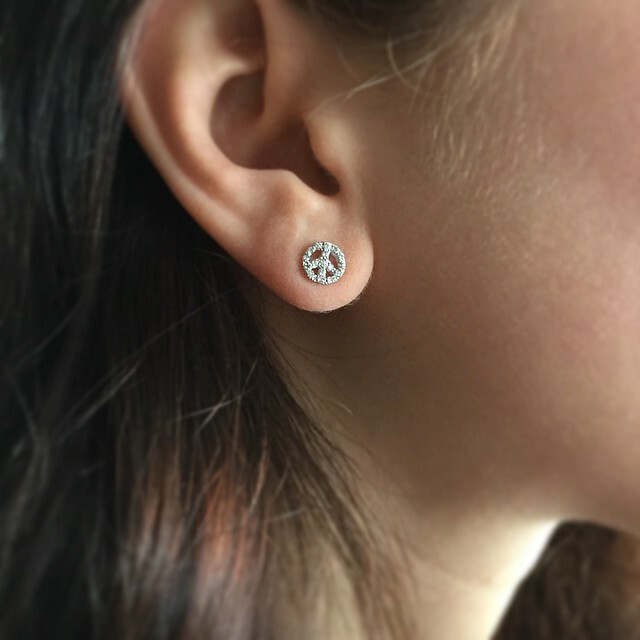 Classic bohemian platinum peace sign stud earrings set with white diamonds. Each platinum stud is set with 17 stones and each sterling silver stud is set with 5 stones. Handcrafted by Elisa.